Do you spend the extra money to buy healthy organic fruit and vegetables for your family’s health and normally wash these in tap water? If so you are cheating yourself of the full benefit of buying expensive healthy vegetables. 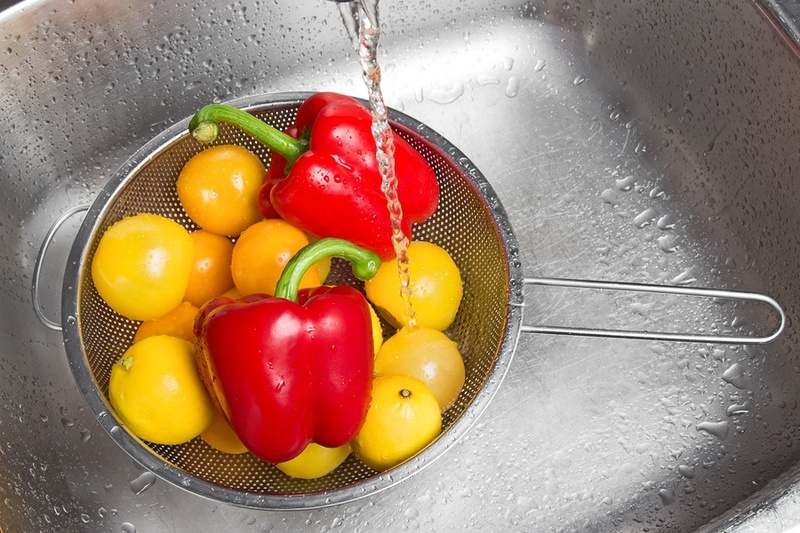 I find it very surprising that the majority of people that buy organic produce simply wash in their tap water. People have done their research and determined that fruit and veggies may contain traces of pesticides, herbicides, fertilizers etc and are choosing to buy organic more and more today. Some may wash these in bottled water, obviously better than tap water but not as convenient as using filtered water. Today more people are becoming aware that tap water may contain many different types of contaminants. Some of the obvious are Chlorine, one that also can affect the taste of your lettuce, spinach and most leafy veggies, never mind negate the point of buying organic. 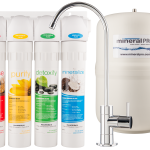 Some of our customers have advised us that they notice a huge difference when the cook their veggies in water produced from the Mineral Pro (RO)Reverse Osmosis Systems. Some say steaming broccoli in Chlorinated Tap water tends to turn the bright green broccoli into a yellow coloured , not as appealing veggie, whereas cooking in the water produced from the Mineral Pro RO results in a brilliant green, fresh looking product. Also noted is the smell of the Chlorine when steaming, probably infusing the chlorine right into your healthy veggies. Same can be applied when choosing to drink a healthy herbal tea, do you use unfiltered tap water? Maybe its not as healthy as you were hoping for. There are news stories out most weeks advising us of new contaminants being found in our water supply, everything from Lead, pesticides, pharmaceuticals, fertilizers, chemicals, etc – why would we wash our organic produce in this, makes absolutely no sense. Some items like lead does not get removed from your water when you boil. Same is true for ice- how many people drink filtered water or other healthy beverages only to use ice made from tap water ? More and more people today are becoming aware that having a good water filtering device is the only way to go, not only for drinking, but equally important, washing all your organic produce, cooking, beverages and making ice, tea and coffee. Many of our customers have remarked on how much better tasting their tea, coffee, cooked products and even those that enjoy a great scotch and water have remarked that with the Mineral Pro water this is the best scotch they have ever had! !